Home Affiliate Affiliate Predictions for 2018 – what’s in store for the year ahead? 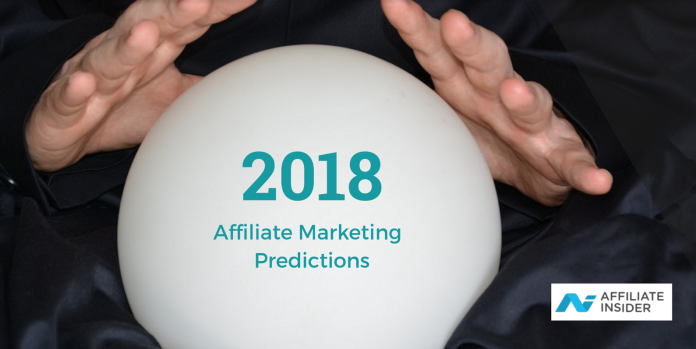 Affiliate Predictions for 2018 – what’s in store for the year ahead? As we greet the New Year, many of us start the year with resolutions we wish to make a reality in 2018. For affiliates, this will usually mean a period of time spent on creating their marketing strategy for the coming year. We’re giving you a sneak peek into the top trends that you should be considering right now to grow your affiliate traffic and keep ahead of digital trends. Influencer marketing is becoming more prominent, especially with new rules coming into force about giving customers better transparency on bonuses and advertising terms. These marketing types are naturally linked and as we go through 2018, they will influence each other further. Instagram and YouTube are some of the most popular influencer platforms and these aren’t really being used effectively by broader iGaming affiliates to engage users in real time. More and more people are getting into the habit of watching other people play. It’s prevalent in esports but can it transcend to iGaming too – and if so , how? We also need to consider how this marketing partnership would be regulated, as the audience of the influencer would have to be of an appropriate age where slots, poker, or and Sports betting events are concerned. These things can be overcome though as attribution is now so advanced, affiliates could easily see where their new conversions and followers had come from and optimise content accordingly or create membership communities to vet clients accessing this content streams before hand building valuable databases of clients to engage. 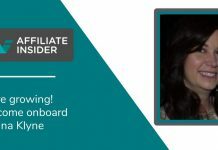 We all know that affiliate marketing is one of the most cost effective ways to acquire new players and in the current climate, this will gain more of an emphasis with brands who want to collaborate to reduce costs and increase acquisition. Brands will begin diverting budgets from less effective and more costly marketing methods in favour of affiliate marketing – especially now that tools to police programmes more effectively are coming to market. 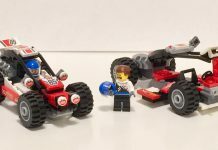 The ecosystem of affiliate marketing may be on the cost of a big change, commercials for partner collaboration are bound to be re-defined to accommodate the need to drill deeper into value in the acquisition change. This will likely affect iGaming and non-iGaming industries, as companies continue to seek the cheapest way to bring in high quality customers. The UK iGaming market is quite saturated and many affiliates spend a lot of money trying to carve out a specific niche. In the coming year, more emphasis will be placed on affiliates stepping out of their comfort zones and into new geographical areas. This may require translators and research into the regulation of that particular territory, but it’s all worth it to capitalise on a new area and find valuable traffic sources. This year’s Affiliate Insider Bootcamp will be covering emerging markets in great detail with the help of affiliates and operators already experienced targeting this space. Get insights on how to tackle a tactical move and get a head start by registering for your FREE ticket to attend this exclusive affiliate event. Video has been a buzz word for acquisition for a long time now. Facebook’s algorithm has changed significantly to weight posts with video above almost any other. If you’re not using video marketing as part of your content and traffic driving strategy in 2018, then you’ll be missing a trick. There are a number of apps available that can help you edit and upload snippets of video quickly and brand it effectively so there is no need for additional expense – just innovative marketing tactics that engage your audience and build a rapport visually. Maybe your brand uses Facebook or Twitter to attract new customers, but you should be diversifying this as much as possible. Don’t rely on one platform or advertising method to drive traffic to your site. PPC, display advertisements, social media advertisements and even influencer outreach should be considered by affiliates to diversify the ways in which to reach a wider audience online. If you discounted one of these methods when your affiliate portal was still young, why not revisit it? The chances are that things have changed a lot since your initial encounter with the advertising method and this could offer you a new opportunity to get a better ROI. This EU law will affect how we all process and store data, which includes your mailing lists and any data you use to cross market offers within your network. Because of this, users will have more control over their data, who uses it and what they use it for. Failure to adhere to these new rules will result in hefty fines, as the EU hopes to reduce the amount of data being used for purposes that the user did not initially consent to. While this isn’t so much a trend, it is something that affiliates will need to become more aware of in 2018. Large fines could be levied for affiliates that fail to comply, so don’t find yourself caught out. Make sure your website terms and cookie policies are updated, if you are collecting emails – your user preferences and subscriber terms are drafted correctly. If you’re in any doubt, reach out to a reputable legal or consultancy firm for advice or talk to other affiliates concerning the changes to make sure you remain compliant. Consumers are very aware of the commercial relationship between affiliates and operators, as it has been reported heavily in mainstream media. This means that affiliates have to be transparent and offer a clear incentive to the user, such as detailed content about promotions, products, services such as fast customer responses for queries more than just simply offering a free bet or exclusive deal. Affiliates need to establish their brand, and service proposition to engage these savvier customers and deliver a value proposition that keeps them coming back for more, or referring others. They know their rights and won’t hesitate to use the improved tools given by the Gambling Commission. We’ve seen a spate of fines recently that have been kicked off by user complaints, so keep things transparent and make sure any offers you promote are easy for the end user to understand. 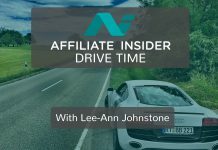 If you want to up your game in 2018, then stay tuned with Affiliate Insider. We’ll be bringing you all of the latest news and events that will help you grow your affiliate marketing business.